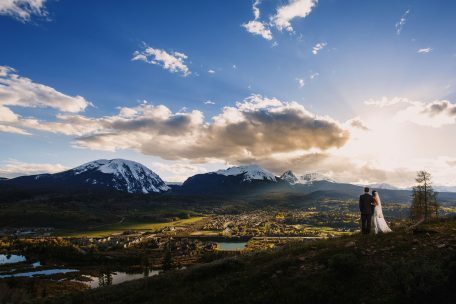 Being one of the closest wedding venues to Denver that is still in Summit County, the Silverthorne Pavilion tops our list of most conveniently located. It has plenty of space to seat a large wedding, access to the Blue River and onsite parking. Lodging in Silverthorne and Dillon is more affordable than most mountain towns, making it easier for guests to make the trip. We’ve found several spots close to the Pavilion that area great for wedding portraits.